Ability Center opened its fifth location on Monday, October 1, 2007. Ability Center purchased Deluxe Mobility, a well established mobility company since 1975. The well-trained staff from Deluxe Mobility will join the existing Ability Center team in an effort to provide the highest quality of mobility equipment and service. Ability Center, the largest mobility dealer in the Southwest, is your “One Stop Shop for Sales, Rentals, and Service” for everything related to mobility and independence including your wheelchair, scooter, stair lift, and/or converted mini vans. In an emergency, the technical staff is available 24 hours a day. Ability Center has been in business since 1992, and today serves California, Arizona and Nevada with a technical team having a collective 200 years of service. The staff is committed to the mission of providing professional mobility solutions in a kind and compassionate manner. By demonstrating compliance with The Joint Commission’s national standards for health care quality and safety, Ability Center – San Diego has earned The Joint Commission’s Gold Seal of Approval™. 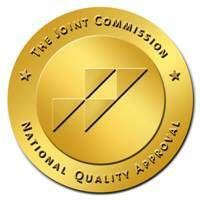 Founded in 1951, The Joint Commission is dedicated to continuously improving the safety and quality of the nation's health care through voluntary accreditation. In becoming accredited, Ability Center – San Diego was evaluated against a set of national standards by a Joint Commission experienced in the delivery of Durable Medical Equipment. Terry Barton, General Manager says that accreditation shows that "we make a significant investment in quality on a day-to-day basis from the top down. We seek accreditation for our organization because we want to be the best and we view obtaining Joint Commission accreditation as another step toward excellence." He notes that accreditation is attainable only through cooperation and communication among staff members. "Everyone at Ability Center – San Diego plays a vital role in working to meet the standards. It gives them a feeling of prestige to work in an accredited organization," says Terry Barton. Claudia Obertreis is the contact person for Ability Center. Telephone (855) 541-0552. E-mail mrs.o@abilitycenter.com. Web site http://www.abilitycenter.com.